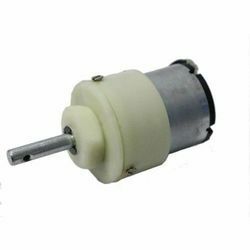 Our product range includes a wide range of dc motor, battery operated dc motors, 12 w dc gear motor, permanent magnet dc motors and electric dc motor. DC Motors are applicable most wherever variable speed control drives are used. The speed control of DC Motors by armature control or field control at constants torque & for constant continuous operation. Due to the incorporation of latest technology which ensures safe & trouble-free operations under critical conditions. The V-weld impart heavy strength to the yoke. Armature laminations are of high-quality electrical grade steel. Electrolytic copper segments insulated from one another with mica. Riser connections are the TIG welded Armature windings are impregnated with synthetic resin and properly baked at designed temp. to give complete protection against damage from moisture, acids, and alkalies. Main poles are made from thick laminations (G.I.Sheet). High Electrographite carbon brushes used. Ventilation: Our motor equipped with the screen protected drip proof (PDP) & totally enclosed (te). External force cooling is provided with blower mounted motor. 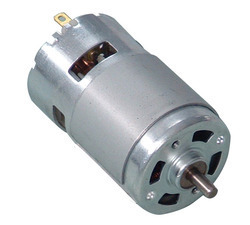 As a well-known supplier in this domain, we are offering high-quality 12 W DC Gear Motor. This gear motor is used in various camshaft controllers in railway rakes, speedometer testing equipment, automobiles, conveyors, die polishing machines, tensile testing machine & actuators. 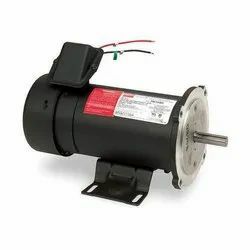 Manufactured using finest grade raw material and modern technology by our reliable vendors, this DC gear motor is available in various specifications at the most affordable price to the clients. The Permanent Magnet DC Motors are light in weight and which are easy to install. 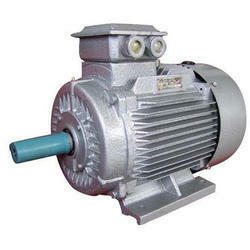 We offer these motors as per the client’s requirements and that exactly meets the desired output. 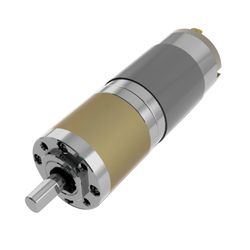 These DC motors have high torque and high density and also available in various sizes. These motors take less maintenance and power.